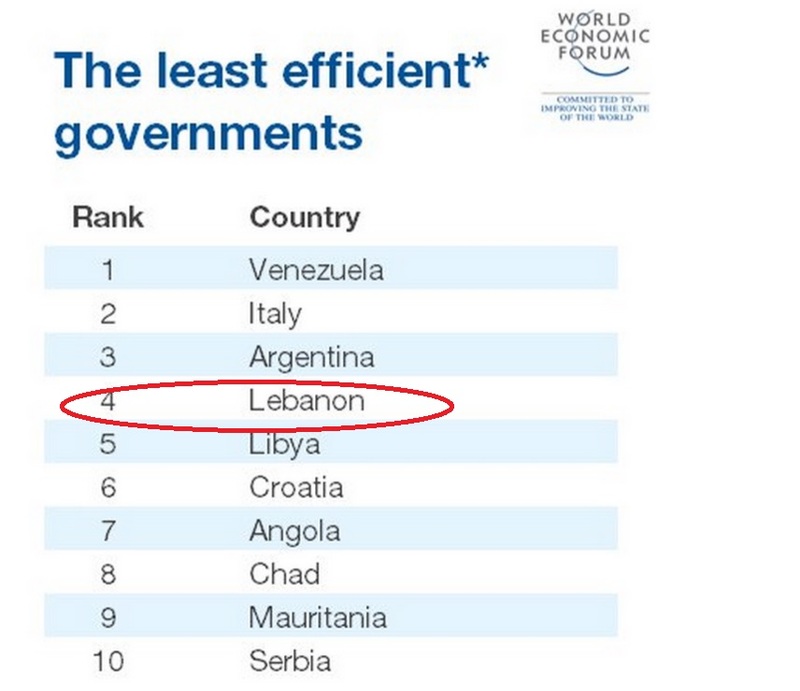 The World Economic Forum’s 2014-2015 Annual Global Competitiveness Report is out and it placed Lebanon among the 10 least efficient governments in the world. Lebanon is in fourth position behind Venezuela, Italy and Argentina. The report “evaluates the efficiency of 144 of the world’s governments on measures including the wastefulness of government spending, burden of regulation and transparency of policymaking, to produce an overall global ranking”. I’m quite surprised we are not in the top rank but I am sure we can pull it off next year so let’s keep our fingers crossed and hope that our government will make things even worse for all of us next year. – Quality of electricity supply. – Public trust in politicians. – Wastefulness of government spending. On the other hand, Qatar & the UAE were ranked among the top 10 most efficient governments in the world. You can check out the full report [here]. Its partially because the Lebanese citizens are too busy boycotting the likes of Chris Brown..
Don’t you need to have a government for to be efficient?